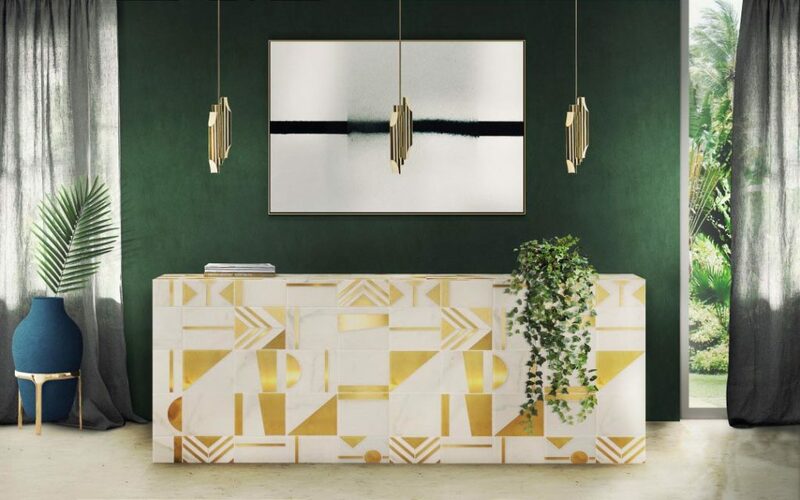 Using a mixture of metal types used to be a faux pas, but it’s now one of the most popular trends of 2019 interior design. Using an ensemble of metal accents in a room is a way to create balance. You can use gold, brass, and nickel with bronze or dark brown metals as long as you do it in moderation. So, maybe keep it at two to three different metals in one room. Mixing more is overkill. 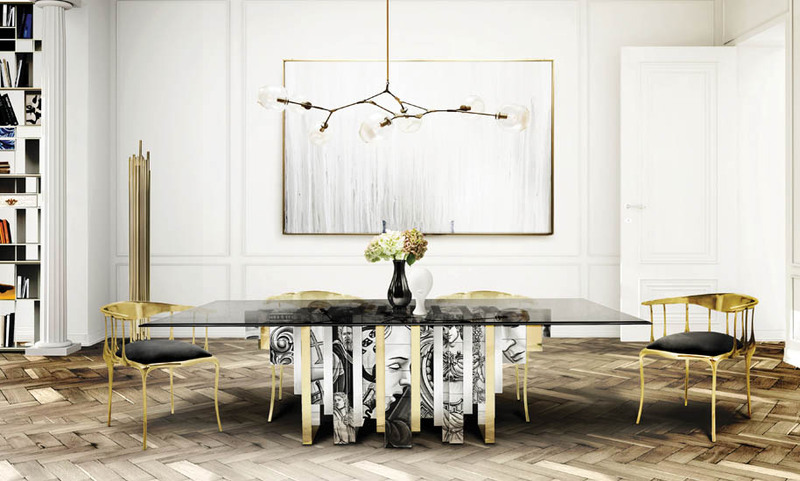 A variety of metals creates contrast and depth and gives the feel of a multi-dimensional room. Using a variety of textures is also in vogue for 2019. Think of a velvet sofa juxtaposed with the highlights of gold-plated or brass metals. A color that has been overlooked for quite a while is making a comeback in 2019. In the 1920s, green was one of the most popular colors of the Art Deco movement. Green has a calming effect and evokes a sense of sophistication and refinement. It’s the perfect color to work with botanical interiors. It has a pro-environmental vibe and makes a bold statement. It creates a good backdrop to naturally made items such as basketwork and natural fibers. People are favoring bolder colors such as Nightwatch green, teal, and emerald rather than the light gray neutral tones of HGTV fame. It’s become an alternative to the trendy matte black. You can also use green in other elements of a room besides walls and cabinetry. The 1970’s boho look is back, but with a modern twist. Remember the colorful natural elements and layered fabrics of boho style? They’re back with curved lines. You’ll see more patterned fabrics and layering this year but perhaps in brighter shades. The mixing of modern with vintage is a growing trend. The casual Boho look gives a room a laid-back relaxing atmosphere. Best of all, the Boho look is easy to pull off. 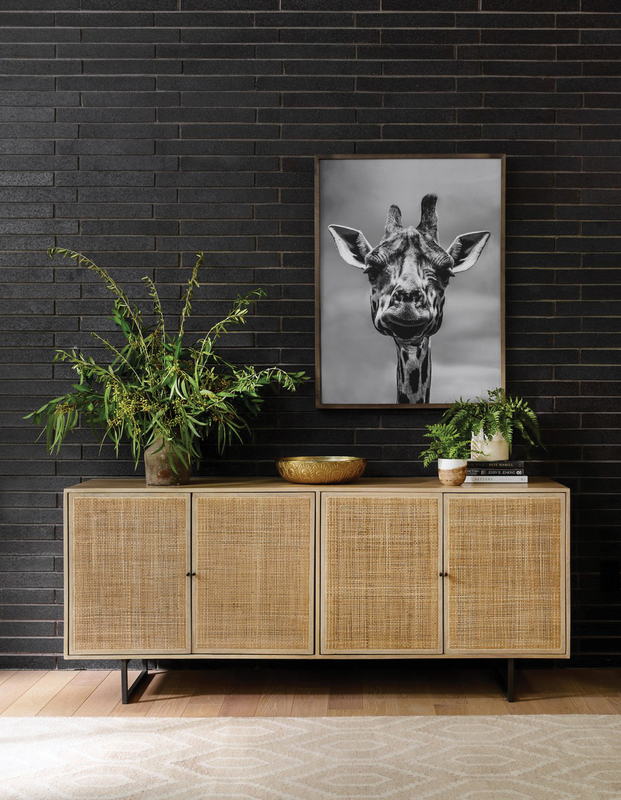 It sets your home apart from others and gives rooms a sense of whimsical character that you won’t find in the sterile and sparse looks of recent times. The light-grey-everything look is fading and giving way to louder colors and fun patterns. Green isn’t the only jewel tone color in vogue this year. Bold colors are trending for 2019 including rich indigo, sultry black, dramatic reds, statement pinks, organic greens, and vibrant yellows. You can layer bold colors with accessories, rugs, and lamps against the backdrop of a light neutral tone wall. Not only is bold in, but floral, too. Everything you thought was long out of vogue is suddenly back with a modern twist. 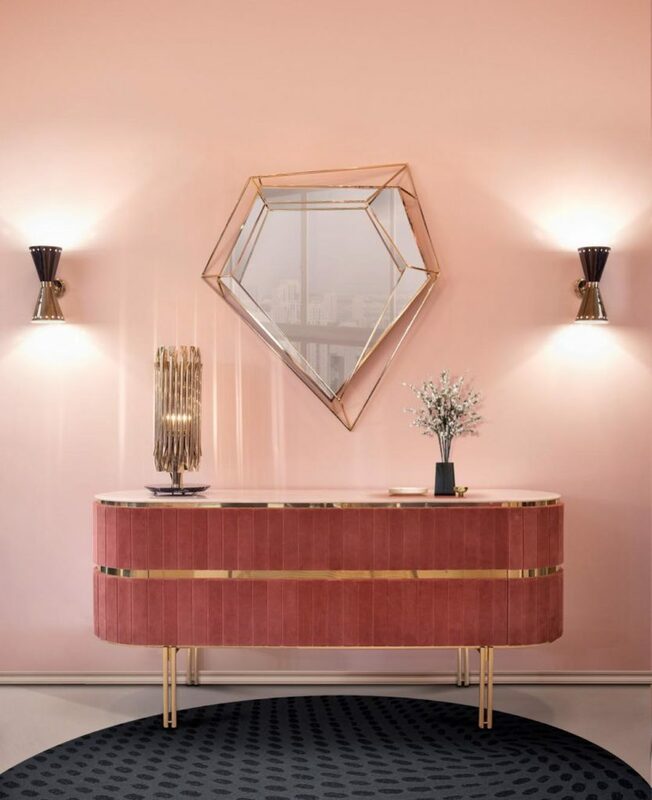 For so many years, neutrals reigned the market for wall color and furniture, but now people are venturing out into bold colors for a more dramatic presentation. Bolder color choices for kitchens as well as other rooms are taking precedence over the bland and sterile “safe” colors (beige) of the past. Spa-like bathrooms of white or light gray hues are giving way to strong, sultry colors, and even black. Black bathroom walls and vanities are even making a comeback, creating an indulgent high-end look. Even black kitchens are becoming popular for creating a modern ambiance. Beige minimalism is being replaced with far richer color palettes. This is a welcomed change for many designers who have grown tired of the bland less risky colors of yesterday.